Shop at Amazon Smile and Amazon will make a donation to us Get Started! 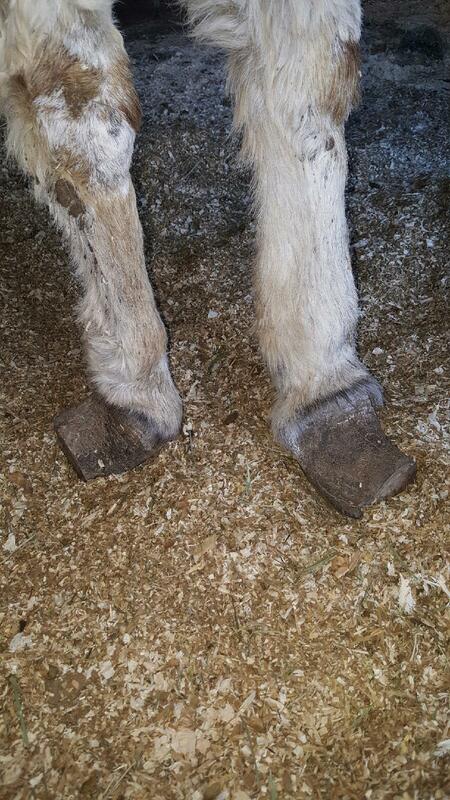 Twinkle Toes, a 12 year old jenny, arrived at our shelter with very, very long, curled hooves. 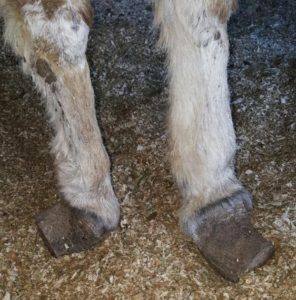 She was covered in manure and suffering from frostbite. Cindi and Roger Boehner offered Twinkle a foster home. She has thrived under the Boehner’s care, and her adoption is pending. Twinkle now enjoys bubble baths, sipping apple juice, and having her ears rubbed. 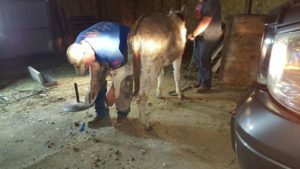 This little donkey has landed on her feet! Annie was bred in 2010 by Jim West Quarter Horses near Bly, Nevada. She was sold at auction and moved to southern Oregon. 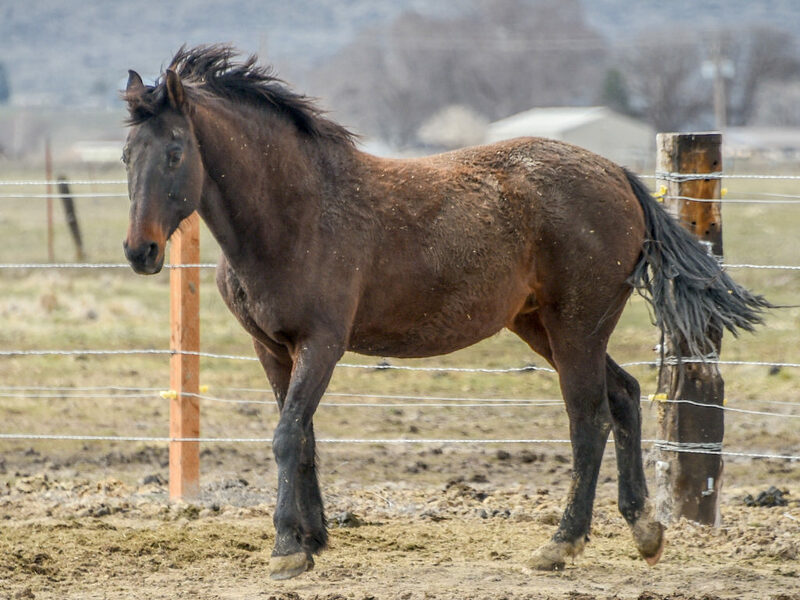 In 2015 Annie and nine other horses were seized from a ranch in Klamath County. 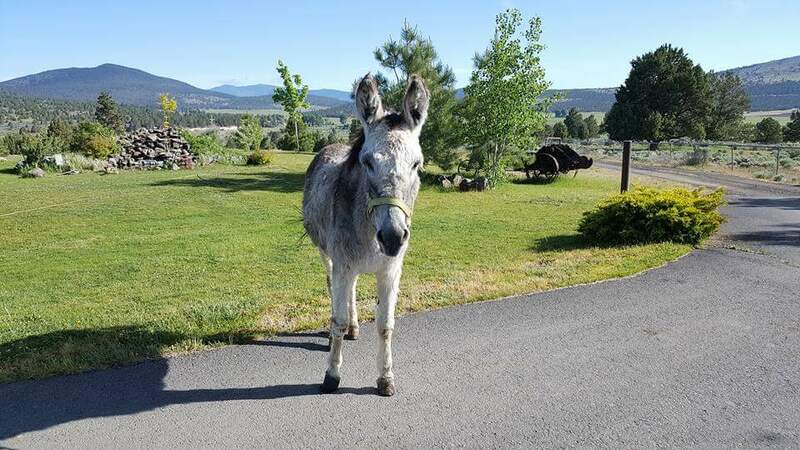 Annie arrived at the Klamath Animal Shelter/Large Animal Division suffering from malnutrition. She was also grieving over the loss of her six month old foal. Annie did recover and she participated in the 2015 Pegasus Project. Her trainer was Jasmine Cyphert. She was adopted by a northern California family at the Pegasus Project auction and then continued her training at Seal Rock Stables with Jasmine. In March 2016, Annie moved to northern California and began working with her owner and a local trainer, Denise Whiting. 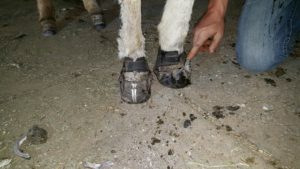 In July 2016, Annie’s owners were injured while riding her – in separate accidents. Annie moved to a nearby ranch in November to further her foundation skills with trainer Brian Drake. She now gathers cows for Brian and is his demonstration horse when he provides riding instruction. Annie’s owners visit weekly to groom her and watch her progress. Annie loves to work and she is doing what she was born to do. These are horses that we helped who have moved on to their forever homes! DREAMER is a two year old Anglo Arab filly who has just been adopted. She has been working with a trainer for the past nine months and is doing well with her groundwork. Smart, sweet, beautiful mover.